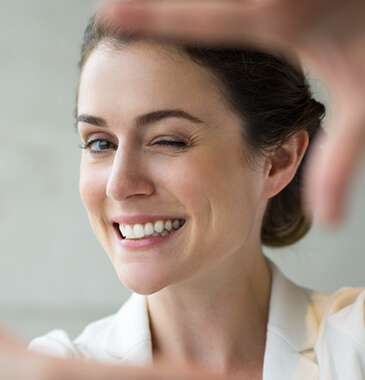 Southern Cross Smiles Offers Smile Makeover Treatment For The Perfect Smile! "A sparkling smile for you is what we strive for." With this motivation, Southern Cross Smiles in Docklands offers a varied range of treatment options to improve your smile. Our team of dentists will strive you provide you with that perfect and glowing smile. There can be several reasons that a patient might not be happy about their teeth or smile. What does smile makeover treatment has to offer? There are various options to improve a smile depending on the clinical requirements, extent of treatment requirement and cost factors (interest free payment plans also available). Options include composite and porcelain veneers. You can find more information about them in the Veneers section of our website. Diet plays an important role in determining the teeth colour for a patient. Caffeine, red wine and food can stain and yellow teeth over time. We offer a range of in-chair and take of teeth whitening procedures. A non-invasive and completely reversible appliance, which can be worn over existing teeth for a beautiful smile. At our dental clinic we offer a range of braces options for both children and adults. We offer fixed metal and clear braces, Inman Aligners and Invisalign amongst other options. 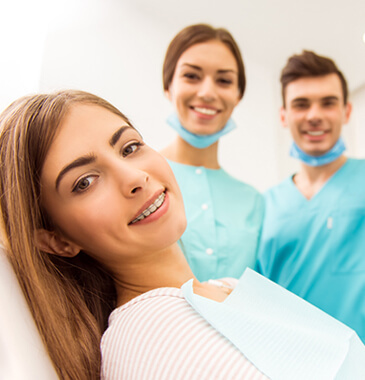 Choose Southern Cross Smiles as your dentist of choice for smile makeover in DocklandsWith smile makeover in Docklands by Southern Cross Smiles, you can have all of this treatment and smile correction done conveniently and all in-house. We realise that each patient’s needs and requirements are different and provide a completely customised treatment package. If you want a perfect smile, we are here waiting to help! Make your smile your best aesthetic feature!